Capleton @ Reggae.Today: More Fyah! Gino XXL Entertainment based in Amsterdam, The Netherlands, and Swissivory Music based in Zurich, Switzerland have unleashed what is said to be the most anticipated riddim this year; dubbed "Swiss Phone Riddim". VPal music, a giant music distribution platform which is a subsidiary of the ?Grammy ? record label; VP Records, to release the riddim and distribute globally. The "Swiss Phone Riddim" will be release officially on 11th March via the Vpal Music distribution platform. Orders can be made on iTunes Here https://itunes.apple.com/us/album/swiss-phone-riddim/id1084899485?ls=1 . This riddim is Swissivory Music's first Dancehall production presented by Gino XXL Ent. The riddim features Beenie Man, Bounty Killer, G-Mac of Sizzla's Team, Melloquence, Jami Dread, Tony D Clutcheye, Nique aka Zion King, Chilando & Blasto! Jah Cure - Rasta - Brand new! Sizzla - "I'm Living" [Official Video 2015] - BRAND NEW! Inner Circle featuring Chronixx & Jacob Miller "Tenement Yard (News Carryin' Dread)"
Eddie Murphy - Oh Jah Jah - brand new single! 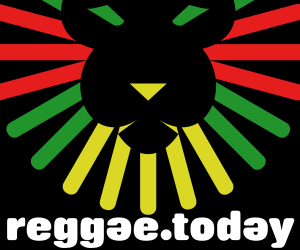 Copyright © 2014 Reggae.Today. Marchio depositato. Tutti i diritti riservati. Produzione Resolvis Marketing & Comunicazione.